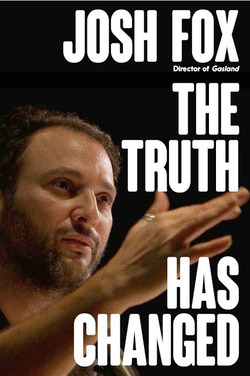 The only journalist ever arrested in Congress for doing journalsm, Josh Fox is the man who made "fracking" a household word as writer/director/narrator of the Oscar-nominated, Emmy-winning film Gasland. His short videos on climate interruption, Standing Rock, Bernie Sanders and fracking have gone viral and been viewed over 60 million times. 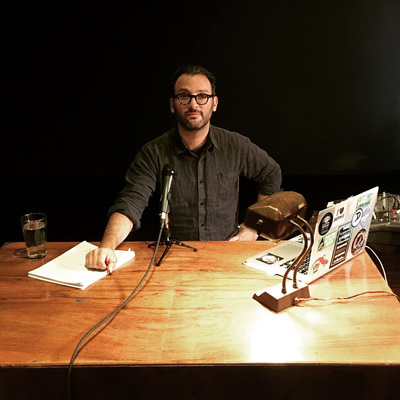 Josh is the founder and producing artistic director of the International WOW Company, which has produced over 40 new plays to consistent rave reviews. The New York Times calls him "one of the most adventurous impresarios of the New York avant-garde," and Time Out NY adds "one of downtown's most audacious auteurs." He has toured to over 500 American cities to speak to people about climate change and the proliferation of fossil fuel extraction, raising awareness at the grassroots. Josh's other films include the award-winning How to Let Go of the World and Love All the Things Climate Can't Change, and AWAKE, a Dream of Standing Rock. Josh has appeared on The Daily Show with Jon Stewart, Bill Maher, CBS World News Tonight, The Colbert Report, The Diane Rehm Show, NPR's Morning Edition and All Things Considered, Carson Daly, Chris Hayes, Democracy Now, and many other national broadcasts, and in The New York Times, The Wall Street Journal, the Los Angeles Times, The Washington Post, Time, and many other national and metropolitan publications. He lives in New York City and New Orleans. The Truth Has Changed is his first book.